The Berlin Wall was built in 1961 by the then communist government of East Germany to prevent its citizens from fleeing from that country. The number of East Germans leaving for the west in search of economic prosperity and political freedom was escalating which was undermining the government. 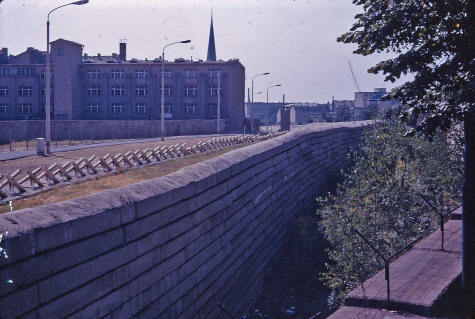 The Berlin Wall consisted of concrete, electric fences, vehicle barriers and a "death strip" patrolled by the border guards. The Berlin Wall divided Berlin in half, split up family and friends and became a symbol of totalitarianism around the world. It remained for 28 years.